On 15 August 2012 BioProcess International announced the 36 finalists for the 2012 BioProcess International Awards — Honoring a Decade of BioProcess. Finalists were determined through an independent judging process, and the results were tabulated and certified by Deloitte & Touche, LLC. To view the names of the finalists and descriptions of their industry contributions, please visit http://awards.bioprocessintl.com/finalists — or read the special 20-page award finalist insert in BioProcess International’s September supplement, The Official Pre-Event Planner of the BPI Conference & Exhibition (which you have received with this issue). 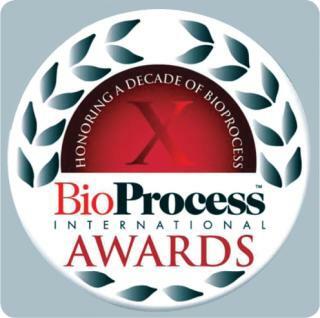 The 2012 BioProcess International Awards recognize the outstanding products, services, partnerships, and people that have had the greatest impact on upstream processing, downstream processing, and manufacturing. Awards Dinner and Ceremony: On Tuesday, 9 October 2012, at the BioProcess International Conference & Exhibition, BPI will host a special, closed-door awards reception, dinner, and ceremony to honor all 36 finalists and announce the 12 winners for each of the four categories: Technology of the Decade, Technical Application of the Decade, Collaboration of the Decade, and Thought Leader of the Decade. If you would like to purchase a seat (125) for the 2012 BioProcess International Awards Dinner and Ceremony, please visit www.ibclifesciences.com/BPI/register.xml?step=start and enter priority code BPIEHO12BC. If you purchase a dinner ticket, you may also register for a complimentary exhibit hall and keynote pass or receive a special 20% discount to attend the conference. The staff of BPI congratulates the finalists and looks forward to announcing the winners in October!